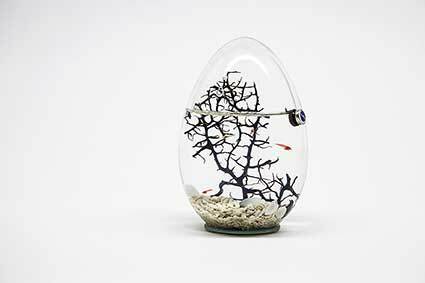 The Beachworld mini aquarium are miniature biospheres. 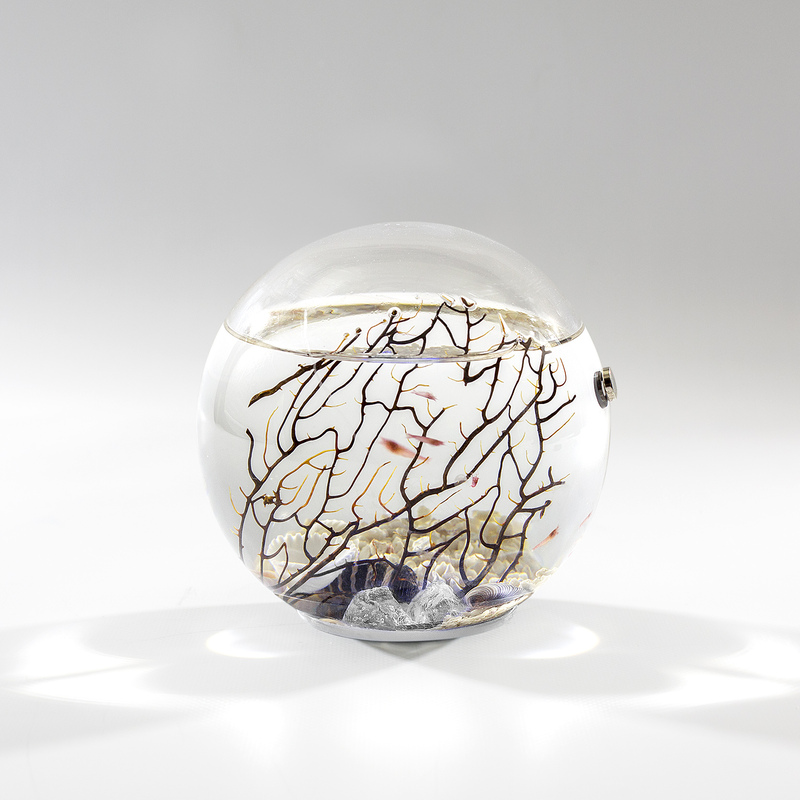 Sealed marine ecosystems that surround the core activity of our land and draw the life from natural elements such as light and heat. 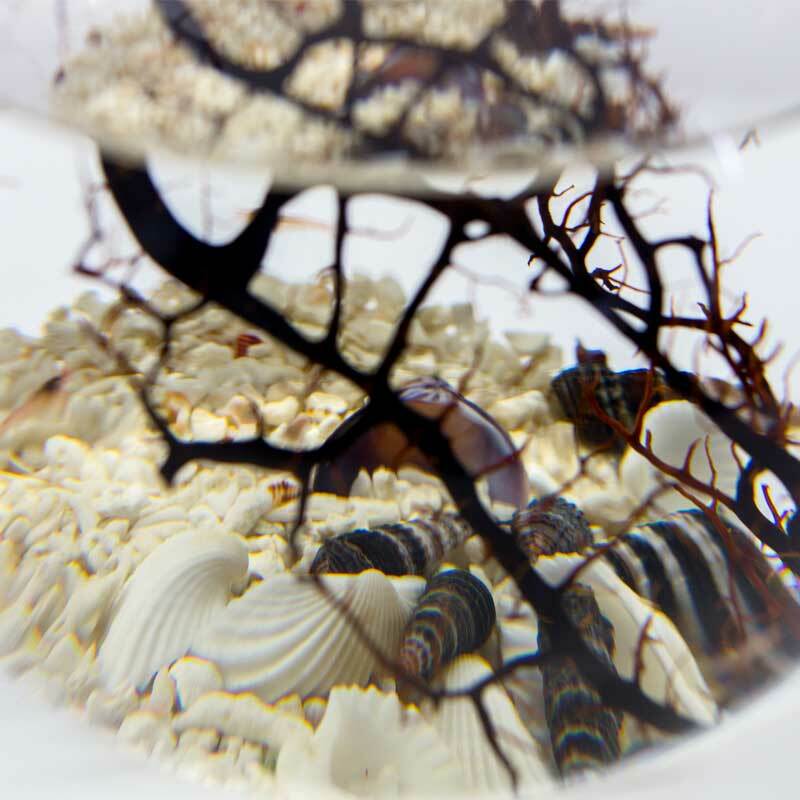 TAOS find the red shrimps that populate the ecosystem in some Pacific Islands. 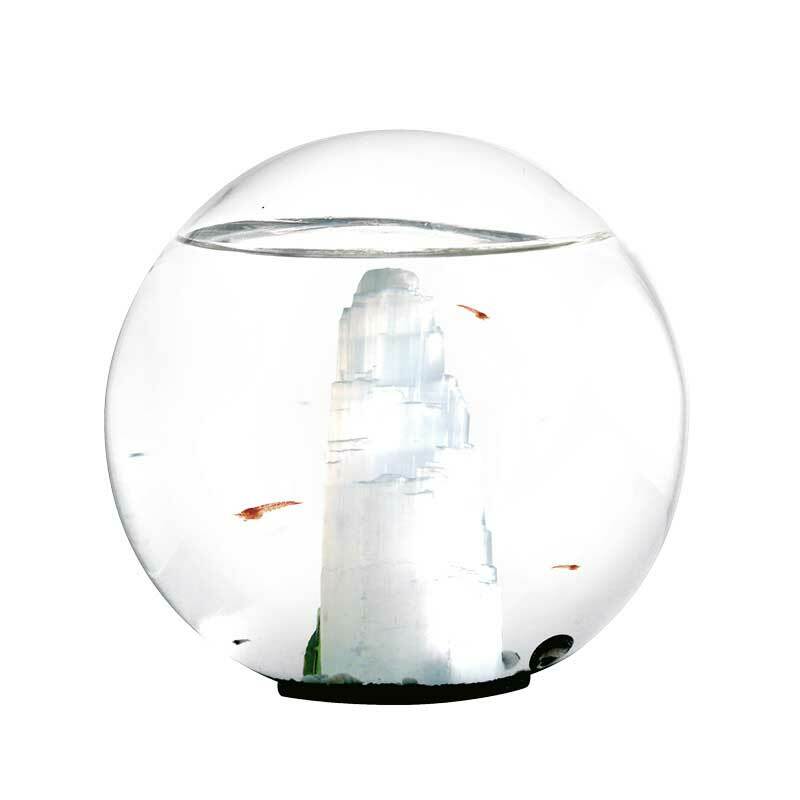 They use to live in small pools of salt water formed in the lava rocks. Thick layers of algae cover the walls of dark red puddles, together with other types of macro-algae. Animals don’t eat the macro-algae but rather care, nourishing of micro-algae and bacteria growing on it. Shrimps are then literally gardeners of their habitat: maintain the environmental balance inside the puddles and store clean is making the large algae can thrive. How does a Beachworld born? 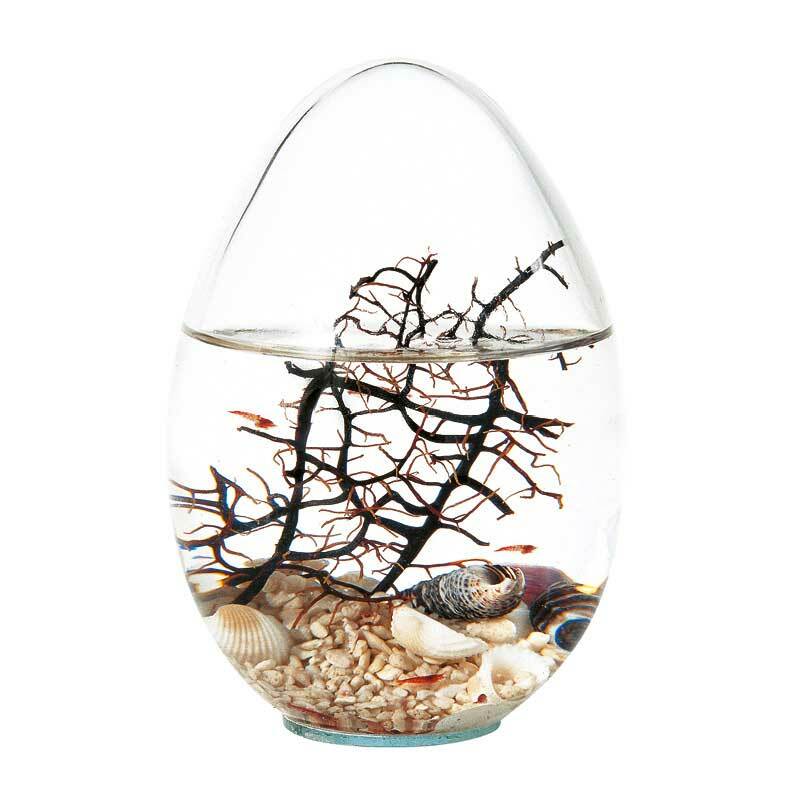 In Beachworld we create a sealed ecosystem. 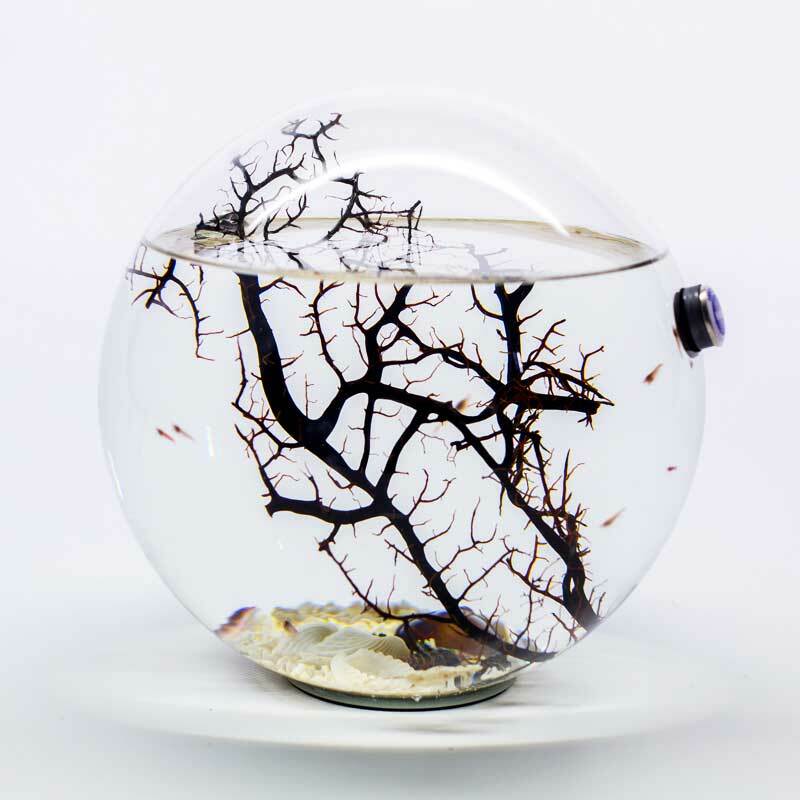 Inside it, we rebuild the environment of the Lakes Anchialini (half freshwater and half saltwater). Here, large and microscopic algae present within it produce oxygen and food for the animals. 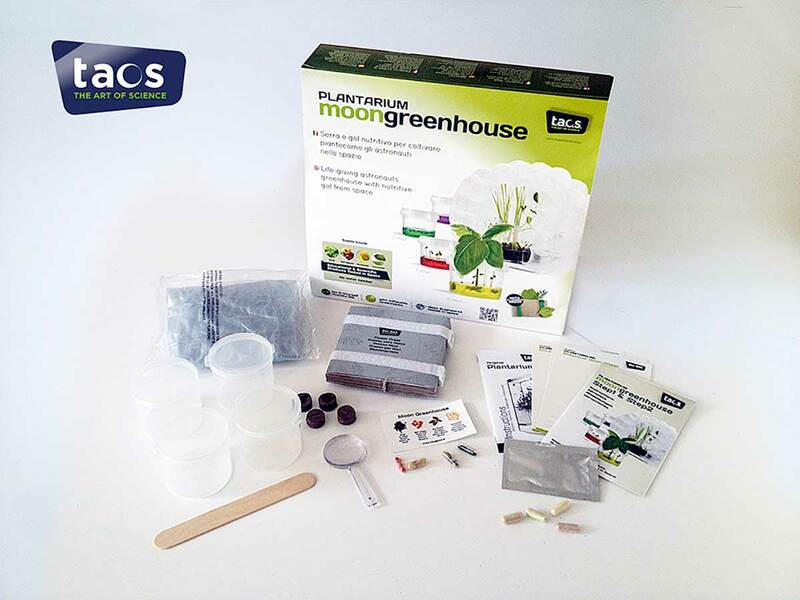 These will reciprocate by providing the substances necessary for their growth: carbon dioxide and nutrients and nitrogenous substances. 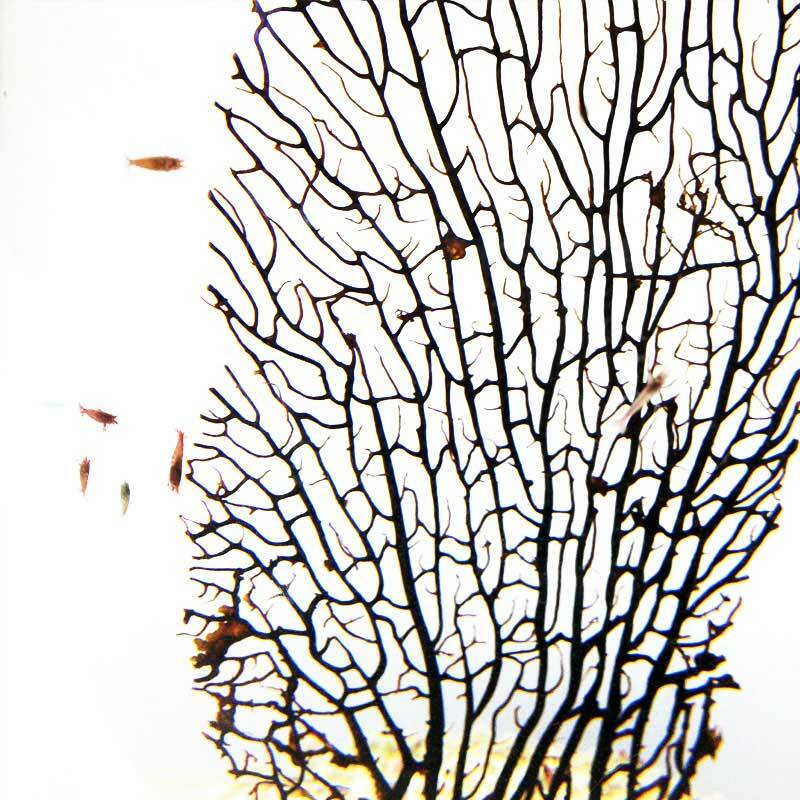 It is possible to observe the animals often graze on larger algae, taking care of them. 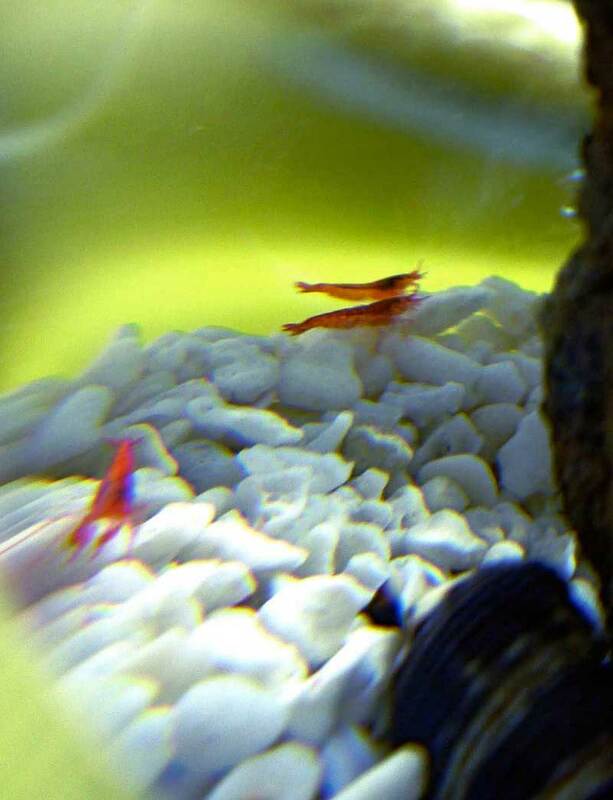 If something disturbs the shrimp, it tends to temporarily lose his bright red in an attempt to blend in with the background. Once he has calmed down, soon becomes red again. Normally this crustacean don’t breed within the mini-ecosystem since they love thrive darkness in secluded places. The sealed ecosystem Beachworld has a 7-year average lifeexpectancy, although there have been cases where its inhabitants have lived very much longer. 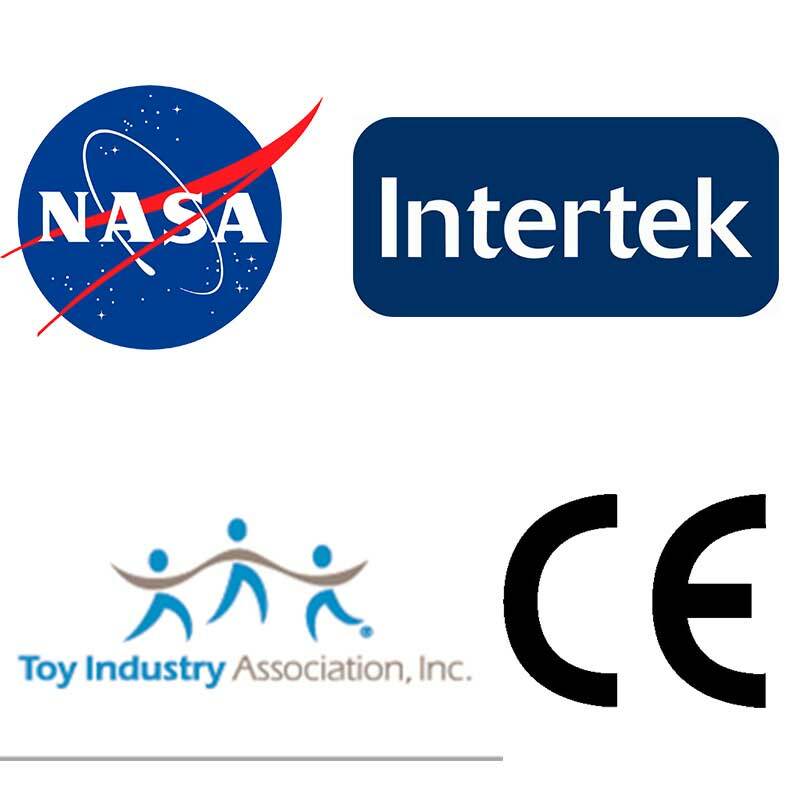 This is an educational product, not suitable for children under six years. Treat it with care. 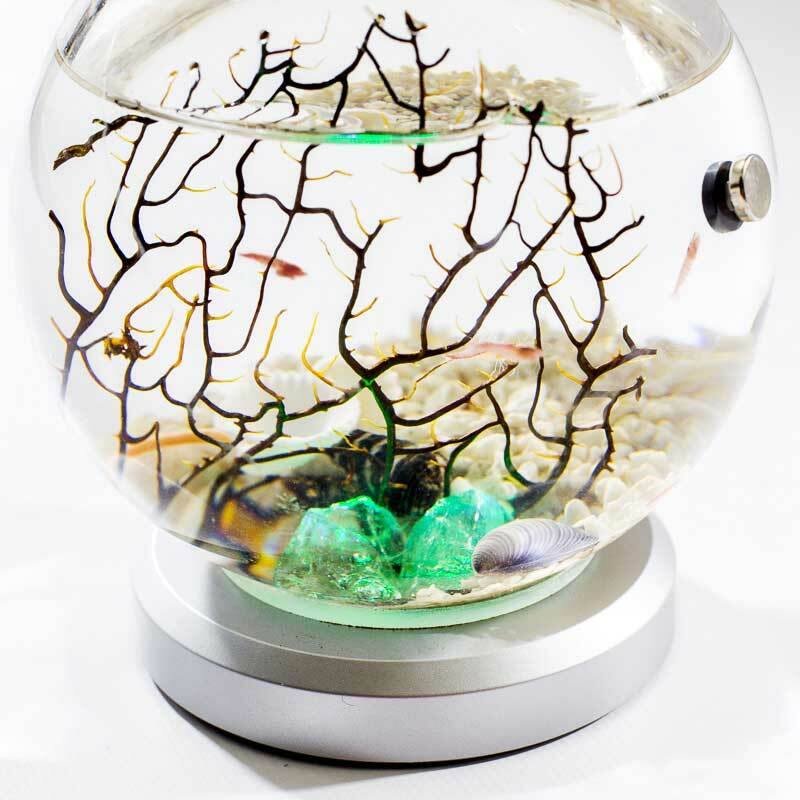 The Beachworld ecosystem is a great piece of furniture. Buy a LED base to enhance it even more. 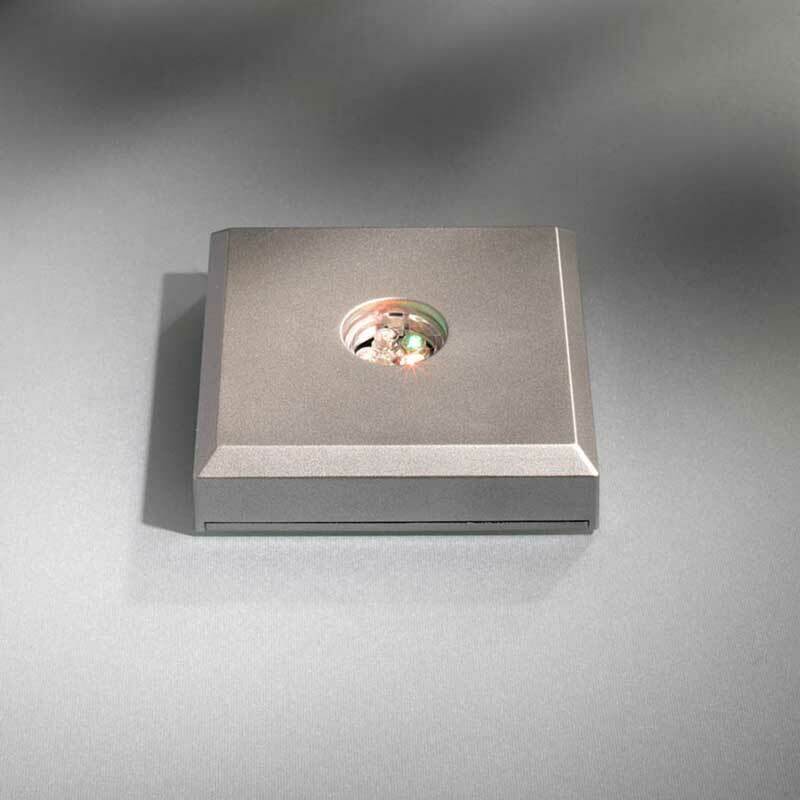 You must provide each day to your biosphere natural or artificial light to allow vital processes take place. 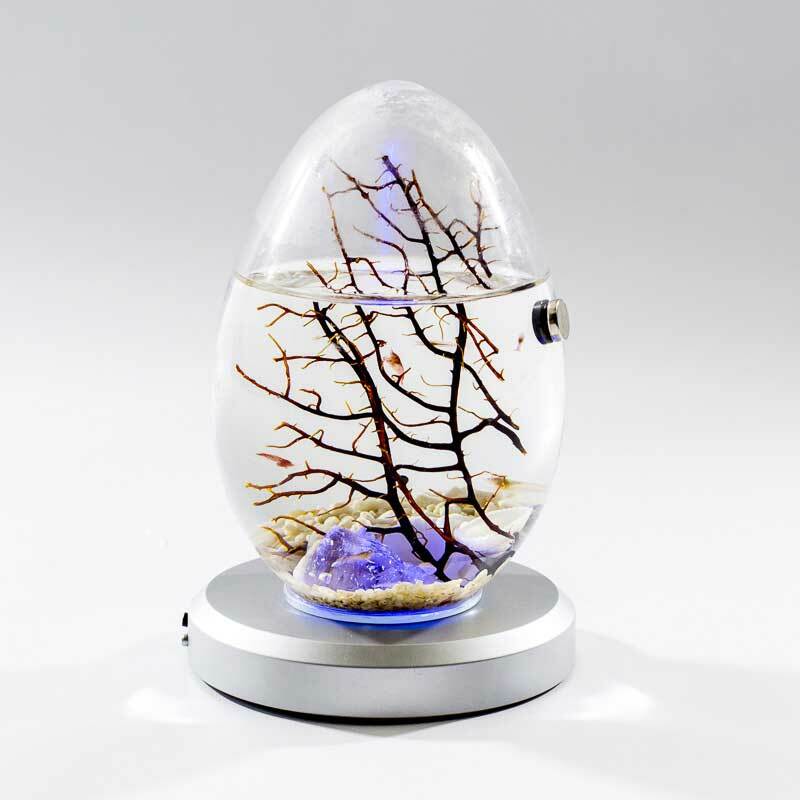 Neon, fluorescent lights, bulbs or even better Beachworld bulbs (which can be purchased from retailers, either directly from the site www.Beachworld.it) are all okay. It is important to make sure that the lights do not heat up the ball. There is no scientific formula to determine the exact amount of daily light to maintain healthy biosphere. If your House is very dark, we suggest five to six hours of artificial light per day. If your House is full of natural light so there probably will be down all that Beachworld needs. It is important to note that if the shrimp are very red/orange and are resting on the coral, walking on pebbles or swimming slowly around, whatever you are doing is perfect! 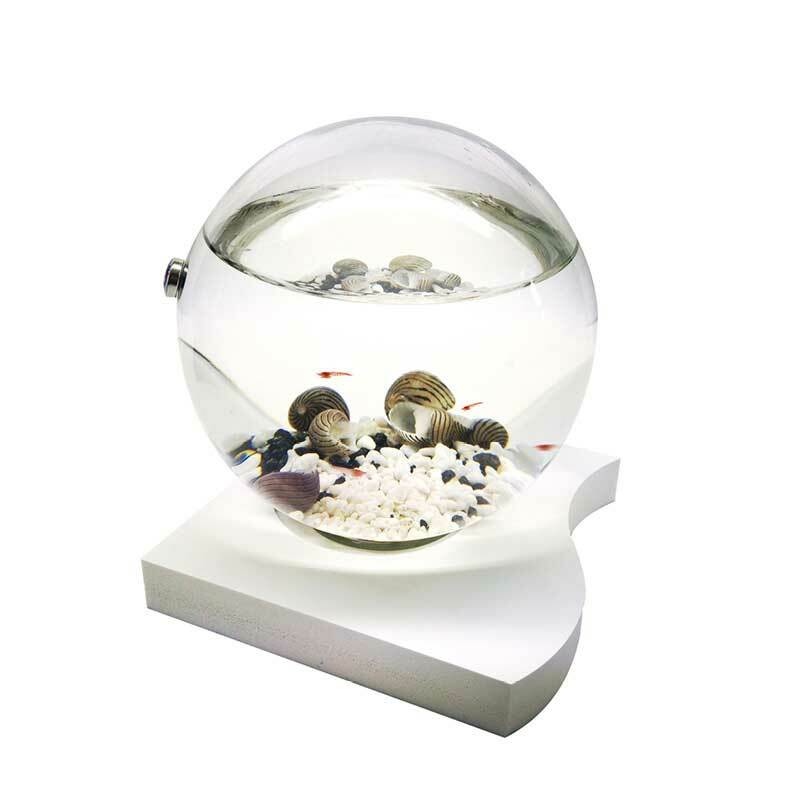 Do not expose your Beachworld mini aquarium to direct sunlight or halogen light. 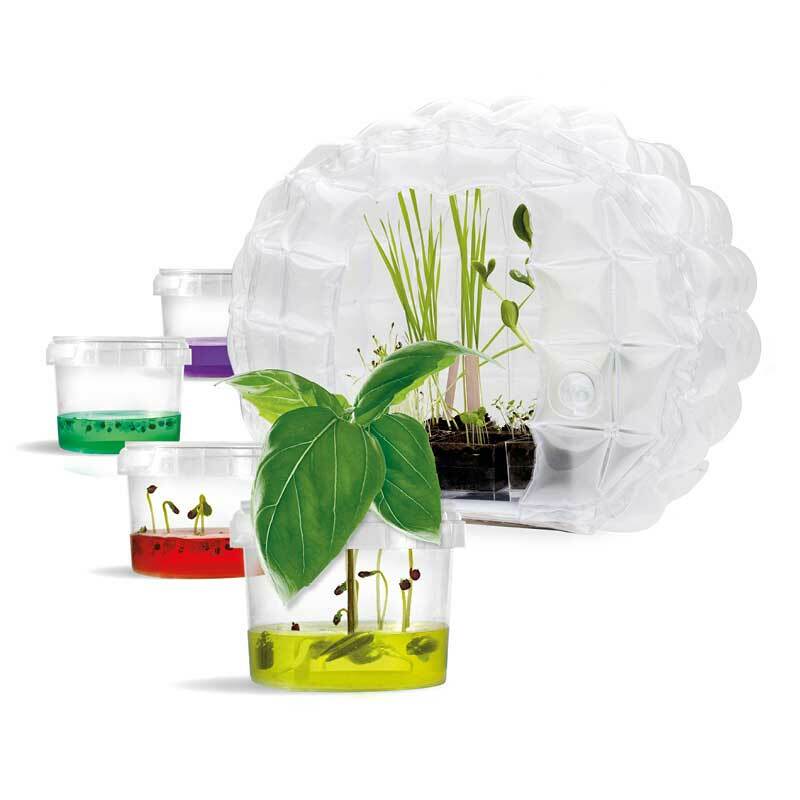 Place your biosphere on a windowsill is fine, provided © is not exposed to direct sunlight. For the first month, checked daily your Beachworld. Make sure the shrimp are orange/red shades and are quiet. 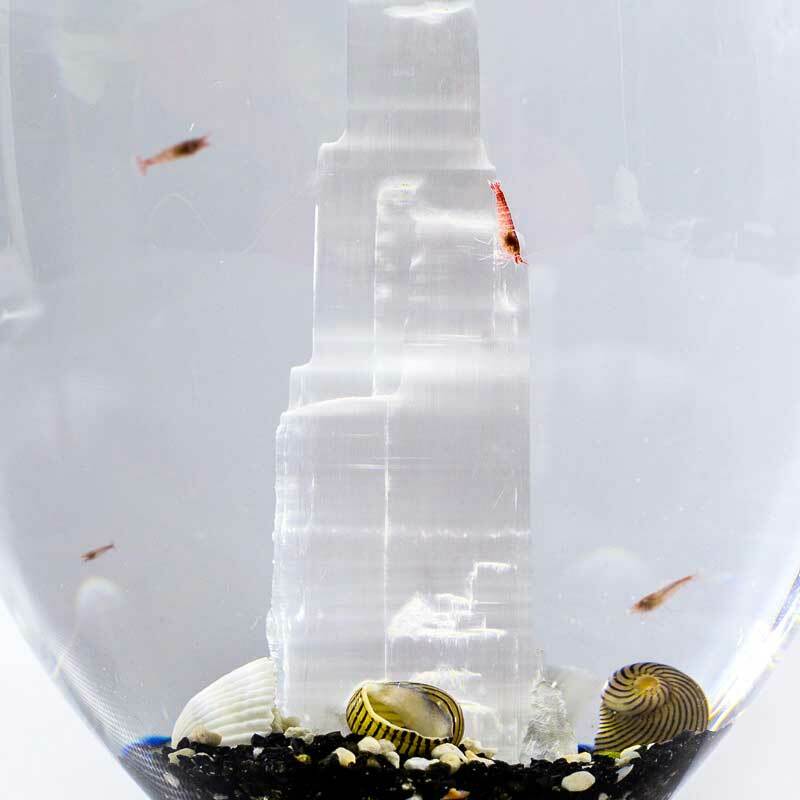 They should rest on pebbles or on coral. If the shrimp are almost transparent and go around in Beachworld, this probably indicates that they are taking too much or too little light. 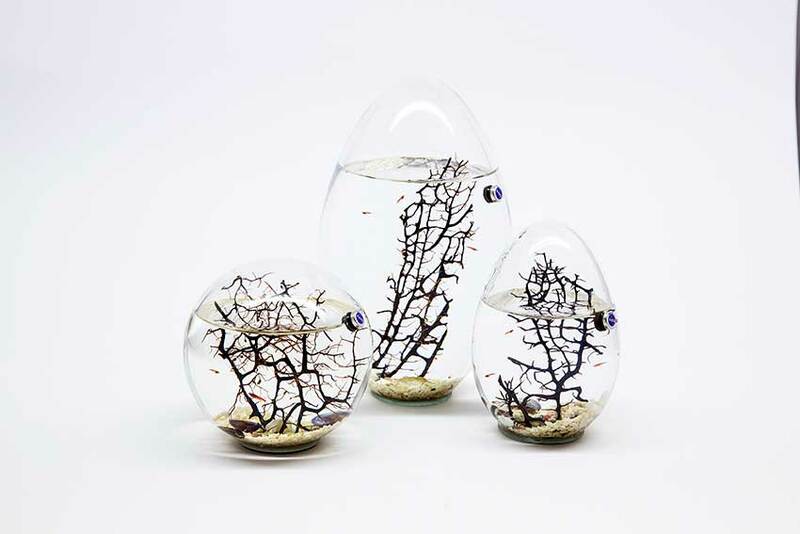 To resolve this problem, place the biosphere to another place of your home until you find the place more suitable. If you are using artificial light and you’re away for more than two days, leave your Beachworld to an entrusted friend or use a light connected to an electric timer. 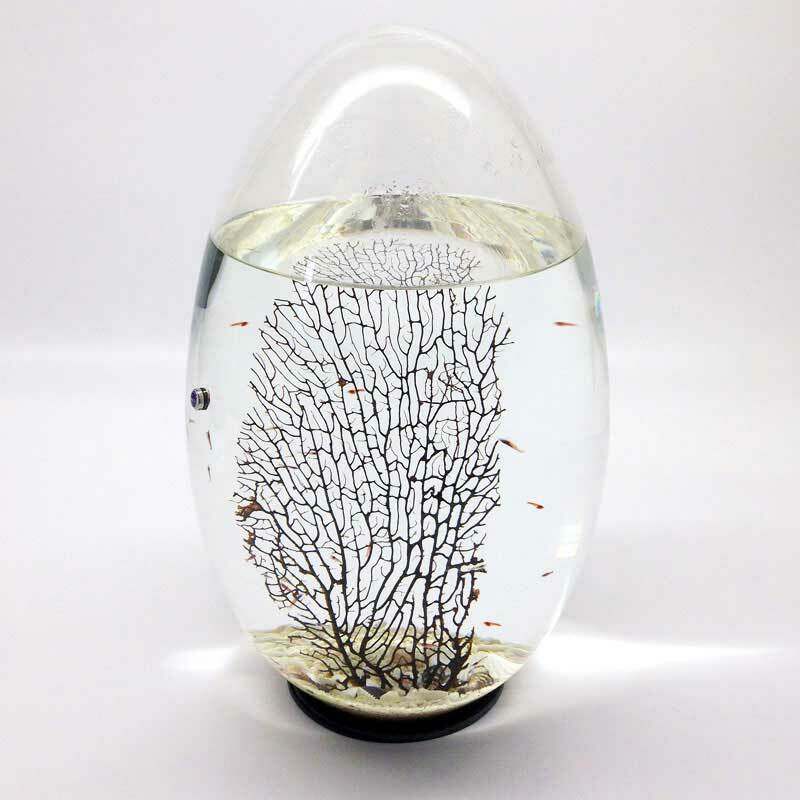 In the summer, put your Beachworld mini aquarium in an area at a controlled temperature between 13° and 27° c. In extreme conditions put your biosphere in a container with water to cool it.